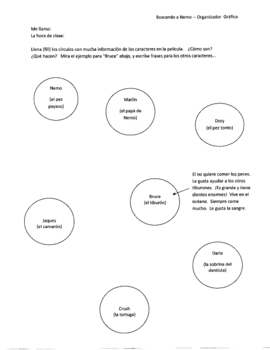 Here are three pages, including a graphic organizer, you can print off and pass out to your Spanish classes. Put the movie in Spanish with English subtitles (for Spanish leve 1). This makes a GREAT substitute worksheet activity! 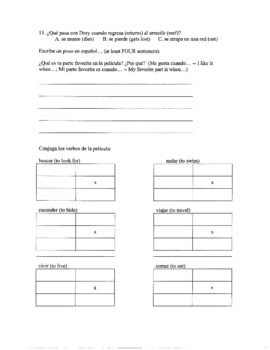 It's simple and the graphic organizer page comes with clear examples of what is expected. Print and GO! A lesson plan in a can!